Being the highest restaurant in Valletta, our rooftop commands a unique view of the Capital City, set in a beautiful boutique hotel. Take a look at a few of the spectacular sights that can be seen from our dining terrace! Equally as stunning as Malta’s capital city, the medieval, coastal city of Birgu is surrounded by fortified walls, and is dripping in history. With its gorgeous entrance gates, characterful little alleyways, restored fortifications and colourful harbour, Birgu is a sight for sore eyes. Having hosted numerous musical events - namely the annual Isle of MTV concert - as well as political rallies, this popular square has seen its fair share of celebrities. Often referred to as ‘Il-Fosos’, this historic site has become a landmark among locals and concert-goers alike, and can be clearly seen from our rooftop terrace. Designed by Girolamo Cassar, Auberge de Castille is a finely-proportioned, symmetrical building that was badly damaged during the 2nd World War but was later restored reflecting Grand Master Pinto’s Spanish Baroque style. 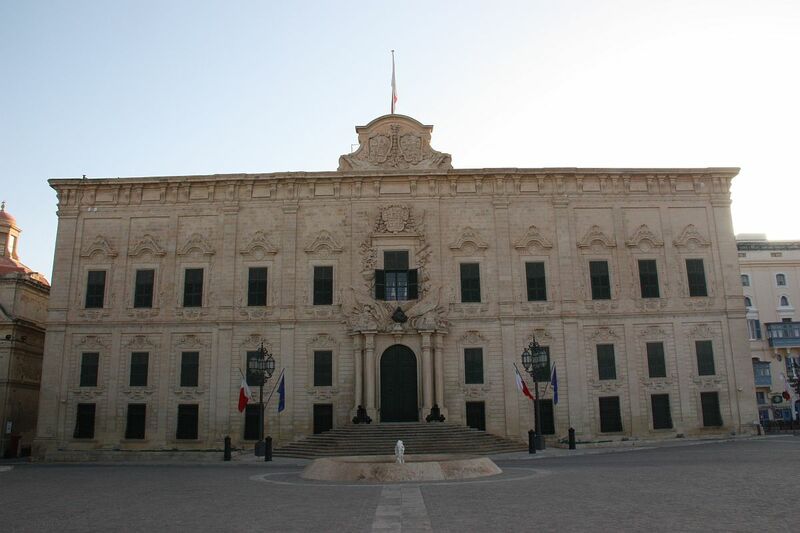 With its pilasters and the various carved coat of arms, Castille is considered to be one of the finest architectural works on the islands, as evidenced by its spectacular façade, that’s rich but not overly decorative, and required a high level of craftsmanship to complete. With a view of the Upper Barrakka Gardens, which itself overlooks the Grand Harbour, these gorgeous gardens were originally built as an exercise ground for the Knights of the Langue of Italy. Nowadays, the gardens are now one of Valletta’s most visited sites by tourists. This natural harbour has been used since Phoenician times and served as the base for the Knights of St John, a strategic base for the British for 170 years, and was savagely bombed during World War II. We at De Robertis Restaurant, located in the heart of the capital on the 5th floor of the Castille Hotel, invite you to come over to taste our scrumptious local and Mediterranean dishes while enjoying spectacular views. Contact us, should you wish to book a table at our restaurant. We will get back to you soon with confirmation. Please note that until we confirm your booking, the table is not yet booked. The Castille Hotel still preserves the elegance and beauty of an era long gone by. The hotel's excellent location gives visitors the opportunity to explore Malta's rich and unique heritage. Valletta is European Capital of Culture for 2018.